Pathway Health’s Susan LaGrange, Karolee Alexander, Colleen Toebe, Cindy Perrault, Louann Lawson, and Leah Killian-Smith will be exhibiting at the 2019 AANAC and AADNS Annual Conference hosted by the American Association of Nurse Assessment Coordination in Orlando, FL, from April 3 – 5. Susan LaGrange will also present at the event. This will be the second conference in April for our team members as they travel to meet with potential clients. 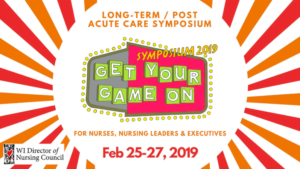 We look forward to open discussions on PDPM perspectives, the expanding role of nurse leaders, industry insights from the presentations, and networking opportunities on the floor. Be sure to catch them at booth #202 when they aren’t presenting! Our exhibit will be open until 1:30 p.m. on April 4. Pathway Health’s Leah Killian-Smith presents the FINAL installation of the 7-part series on Phase 3 changes. The webinar, titled, “Phase 3 Training Requirements for SNFs,” summarizes the key points from the previous webinars and boils down the next steps for long-term care facilities with new requirements for training under Phase 3. Nursing homes must develop, implement, and maintain an effective training program for all new and existing staff, individuals providing services under a contractual arrangement, and volunteers, consistent with their expected roles. The webinar will take place April 2 starting at 2 p.m.
We all know change is an inevitable, new reality in post-acute care. Our industry continues to transform utilizing data (organizational and public) as a determining factor for consumers, strategic partners, and regulators. In the past few weeks, the Centers for Medicare & Medicaid Services (CMS) has published three new QSOs that directly impact providers. After reviewing the memorandums, I developed a few tools for leaders to help gain a better understanding of the changes, as well as key steps to help prepare your team and your organization. Below is a brief summary of the CMS announced changes. Click Here for Detailed Description. Star Ratings – The freeze on Health Inspection Star Ratings will be lifted effective April 2019 impacting your organization’s overall star rating. Quality Measure Domains – New Quality Measure Domains and changes impacting your Five Star rating will go into effect. CMPs – It’s also important to note that the moratorium on CMPs will be lifted as of April 1 in alignment of the Health Inspection Star Rating lift as indicated above. Download the Leader’s Guide: Core Appendix Q Overview, which will assist you and your team in understanding the changes impacting providers. Leaders should review the online basic Core Appendix Q training on the Integrated Surveyor Training Site which provides a comprehensive review and understanding of the changes. CMS has identified approximately 1,500 facilities that have not improved their antipsychotic medication utilization rates. CMS has heightened its regulatory focus on those organizations, and they will be subjected to enforcement remedies for noncompliance. While these memorandums are not a surprise to us, there are key tactics you can take to prepare your team for the impending changes. Download this QuickTip Guide for a comprehensive look at the upcoming changes. Learn more from Pathway Health with our educational classes and training sessions. Contact us today! Freeze ending on Health Inspection Star Ratings – Inspectors will resume the traditional method of calculating health inspection scores by using three cycles of inspections. Inspections occurring on or after November 28, 2017, will be included in each facility’s star rating. Click here to download the Technical User’s Guide (April 2019). Weighting and scoring individual QMs differently. Adding the long-stay hospitalization measure and a measure of long-stay emergency department (ED) transfers to the rating system. Staffing Domain Improvements – Thresholds for staffing ratings will be adjusted. Also, the threshold for the ‘number of days without a registered nurse (RN) onsite’ that triggers an automatic downgrade to one star will be reduced from seven to four days. Read more: Download the PDF from CMS. 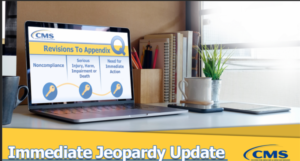 Download from CMS State Operations Manual Appendix Q – Core Guidelines for Determining Immediate Jeopardy (3/06/2019). Mandatory Surveyor Training: For surveyors and non-surveyors to the revised Appendix Q–Core Guidelines to Determining Immediate Jeopardy. 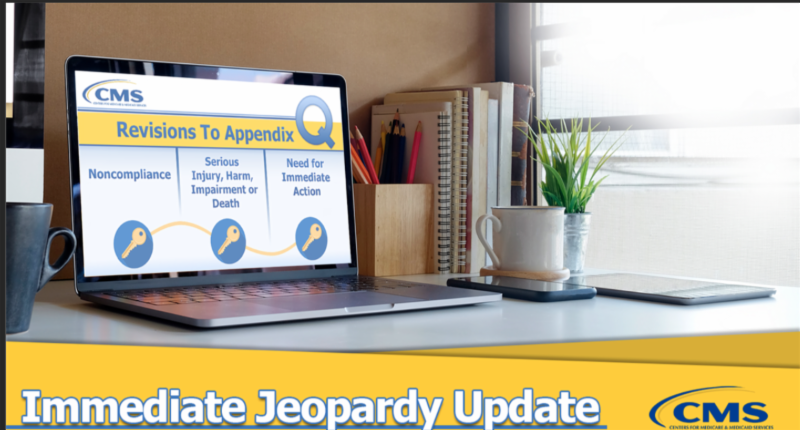 The Core Appendix Q focuses on the key components necessary to establish immediate jeopardy (IJ) under the regulations. Click here to view training from CMS. The following highlights the memorandum issued on 3/01/2019 to State Survey Agency Directors. 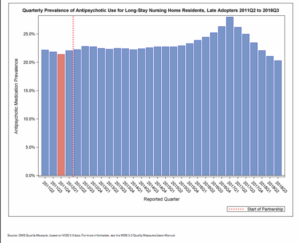 Late Adopters identified – CMS identified approximately 1,500 facilities that had not improved their antipsychotic medication utilization rates for long-stay nursing home residents, referred to as late adopters and notified them in December 2017. Enforcement for A Segment of Non-Improving Late Adopters with Multiple Citations – As of January 2019, there were 235 late adopter nursing homes that had been cited for non-compliance with federal regulations related to unnecessary medications or psychotropic medications two or more times since January 1, 2016, and who have not shown improvement in their long-stay antipsychotic medication rates. If these facilities are determined not to be in substantial compliance with requirements for Chemical Restraints, Dementia Care, or Psychotropic Medications during a survey, they will be subject to enforcement remedies. Download the Late Adopter Data Report (January 2019). Corporate Engagement – CMS is also looking for opportunities to engage with corporate chains that have significant numbers of nursing homes identified as late adopters. Download the complete Memorandum from CMS. Pathway Health is your partner in regulatory success. 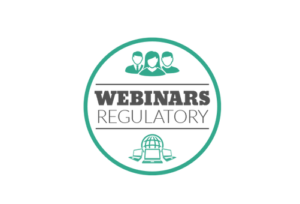 Our experts are ready to immediately support your organization to meet these new regulatory challenges. 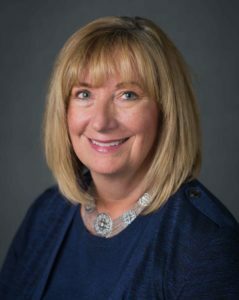 In today’s vastly changing health care environment, the role of nursing leadership is one thing that remains consistent. It is and always will be the heart of health care. My role as an operational leader was to set the strategic direction of the organization while working side-by-side with my nursing leader. I found organizational success unattainable without the contributions of my nursing leader and her team. Nursing leaders focus on setting standards, setting policy, dealing with compliance, and overseeing quality measures and clinical outcomes. They spearhead innovation and transformation within their teams and the organization as a whole. 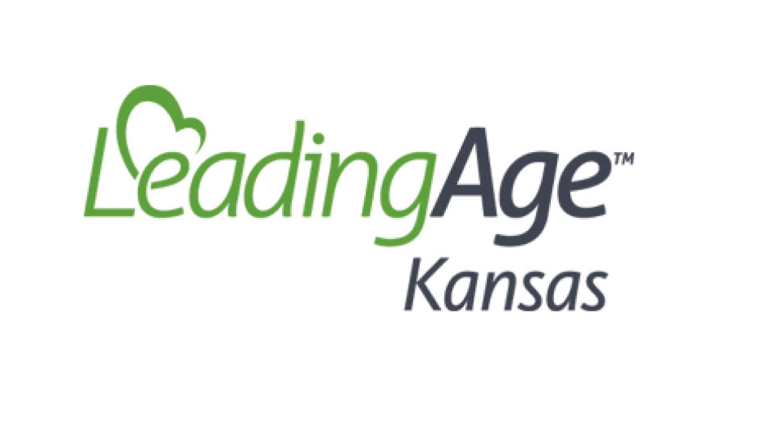 Nursing leaders continually expand their knowledge and understanding of industry changes. Their main goal is caring for our residents. Staying on top of the changes that affect the organization can challenge nursing leaders. It is important that nursing leaders continue accessing education, tools and outside resources. Education provides a level of support for their organizations’ priorities, as well as expected outcomes. Translating the information and knowledge into organizational best practice is another responsibility. 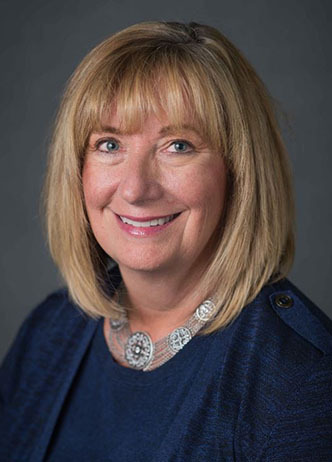 Aligning industry changes with facility and department goals helps to relieve some of the pressure felt by nursing leaders. Implementing best practices allow nursing leaders to focus on targeted, high-level priorities and clinical processes for successful outcomes. Nursing leaders continue to work with their team at all levels. They identify the knowledge, skills and abilities of their team. Then, they align those talents with the clinical priorities of their organization. This allows for ongoing mentorship and development of future nursing leaders. Successful nursing leaders help build upon their success by surrounding themselves with an amazing team. Team building is essential to leading a diverse group of people with distinct personalities and skills. Fostering an environment of collaboration and professional growth is a key strategy for successful nursing leaders. Given all the changes faced by nursing leaders, they possess a unique ability to motivate staff, especially in times of challenge. They know when to talk and when to listen. They are often confident and optimistic while inspiring enthusiasm in those around them. Today’s nursing leaders also spark and support innovation, knowing change is necessary to succeed in the new health care environment. Being a leader is an amazing journey. It continues to provide opportunities for innovation, as well as personal and professional growth. Working next to dynamic nursing leaders in post-acute care is an honor and a privilege. Thank you for being at the center of our organizations, and for being the heart of health care. 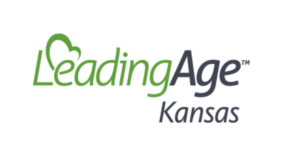 Contact Pathway Health for more information on how we can expand the education and expertise of your long term care staff. Patient-Driven Payment Models and more! Visit our industry specialists at booth #219 from February 25-27 and stay apprised of our progress on social media. 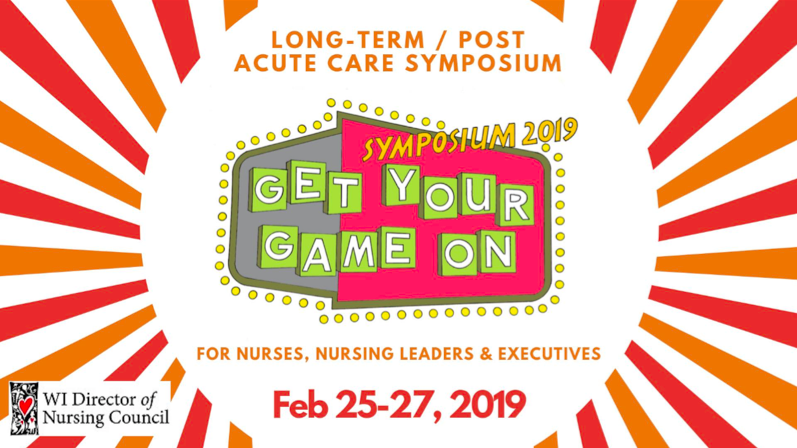 Don’t wait for the Symposium! 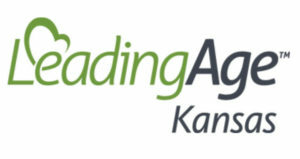 We have online educational programs available now. Don’t miss the webinar presented by Pathway Health’s Leah Killian-Smith on culturally competent actions and procedures within nursing facilities. 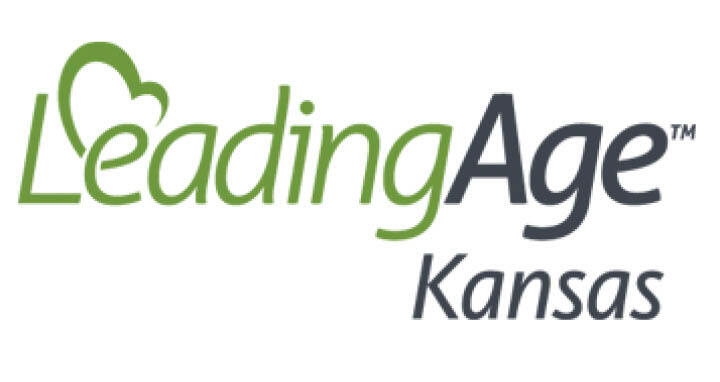 The event, titled “QAPI– A Case Study for Quality Outcomes,” is part of a series hosted by LeadingAge Kansas that breaks down new regulations in order to prepare nursing facilities for changes that go into effect November 28, 2019. Identify an area of deficient practice and work through systems review and improvement.